PurePro JA-703 is PurePro's most powerful antioxidant machine - featuring 7 platinum-dipped titanium plates for improved water ionization and increased antioxidant production potential. Innovative electrolysis technology with 7 platinum-coated 99.97% pure titanium electrode plates, same as kangen water Engaic SD501, kangen K8 & Life ionizer 8100. 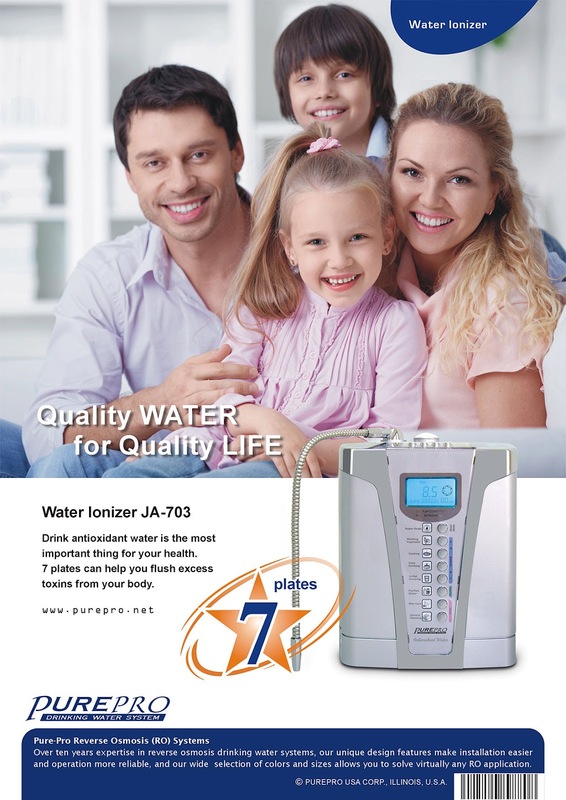 Drinking PurePro JA-703 alkaline hydrogen-rich water is the single most important thing you can do for your health. PurePro JA-703 is PurePro's most powerful antioxidant machine - featuring 7 platinum-dipped titanium plates for improved water ionization and increased antioxidant production potential. Innovative electrolysis technology with 7 platinum-coated 99.97% pure titanium electrode plates, same as kangen water Engaic K8. 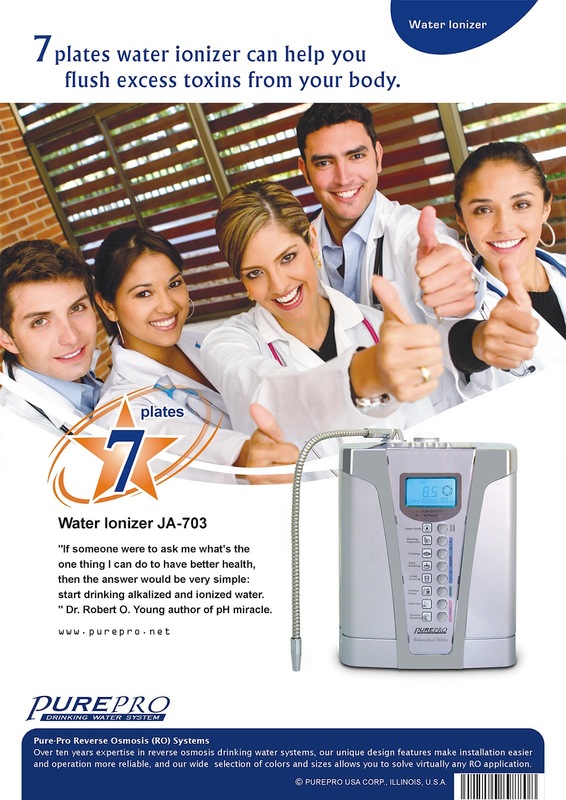 7 plates water ionizer can help you flush excess toxins from your body. PurePro JA-703 is PurePro's most powerful antioxidant machine - featuring 7 platinum-dipped titanium plates for improved water ionization and increased antioxidant production potential. 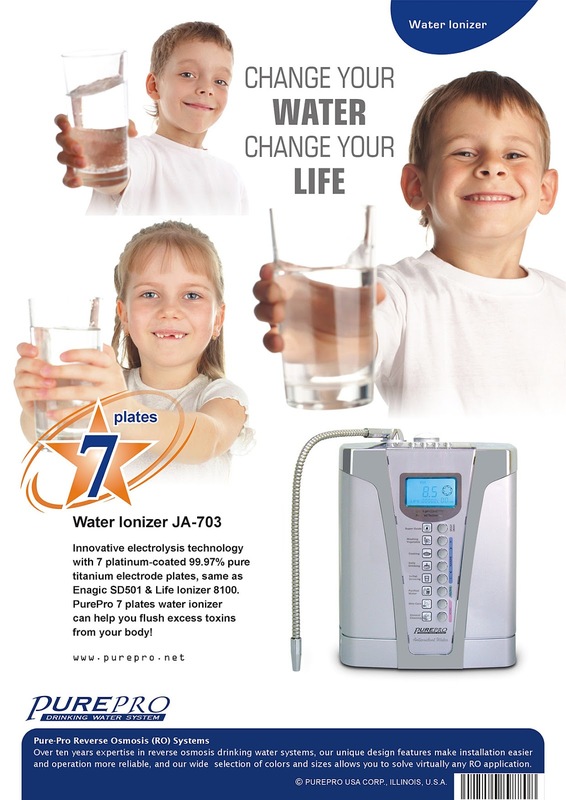 Innovative electrolysis technology with 7 platinum-coated 99.97% pure titanium electrode plates, same as kangen water Engaic SD501, kangen K8 & Life ionizer 8100. 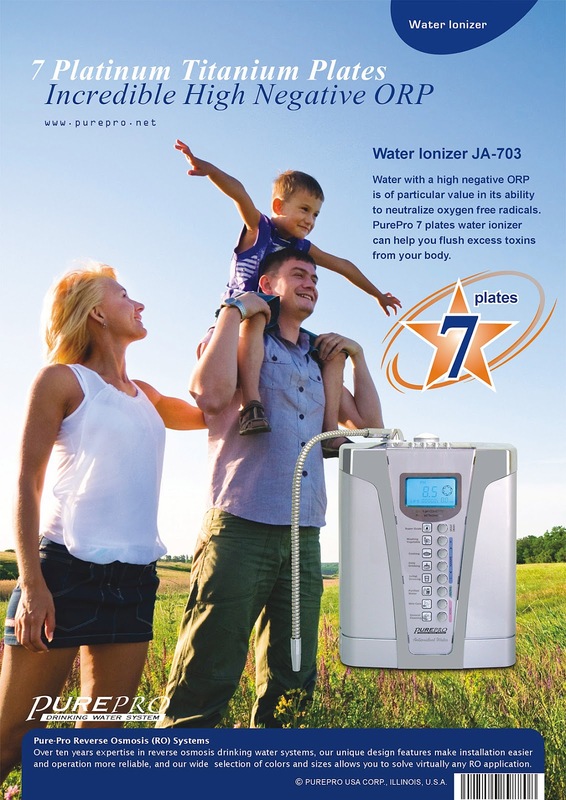 PurePro 7 plates water ionizer can help you flush excess toxins from your body.